The series of major hurricanes that swept through the Caribbean and Gulf of Mexico present a real hazard for wildlife, especially species that already had small or isolated populations. At least a few Barbuda Warblers survived their encounter with Hurricane Irma. One student in Puerto Rico protected 90 birds during Hurricane Maria. It is not clear how Puerto Rican Parrots fared, but the forests where they live were devastated. 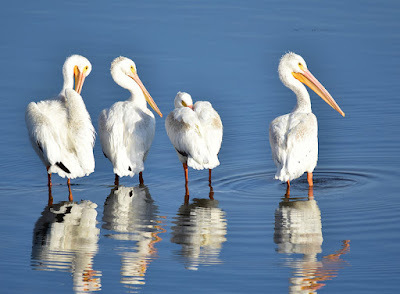 A recent update to the water treaty between the US and Mexico should provide sufficient water to restore the Colorado River's delta, home to many species of birds. Saltmarsh Sparrows are threatened mainly by nest predation and coastal flooding, which is expected to increase with climate change. While predation is more common at the southern end of its breeding range, flooding of nest sites occurs throughout its range. Black Rails, another species that depends on high marsh for nesting sites, are also threatened by sea level rise. An experiment at Blackwater NWR is trying to restore high marsh habitat for these and other coastal saltmarsh species. A study found that the New Caledonian Crow and Kea learn how to use objects as tools by playing with the objects beforehand. A survey of bird banding data from the northwest found declines in three species typical of coniferous forests. A study of Gentoo Penguin vocalizations found that calls differed from one colony to another, but without a clear pattern based on subspecies or geography. Many Neotropical parrot species are threatened by human activity, particularly capture for the pet trade and loss of natural habitat to development. The trade in live wild birds, including some endangered species, is a problem in Southeast Asia as well. ABA Blog: Happening NOW: Sabine’s Gulls and Long-tailed Jaegers on the Move. The Speckled Hatchback: Post #118 - Every bird has a story; Leg bands help tell it! Bug Eric: Grasshopper or Locust? As the Trump administration works to undermine U.S. environmental protections, California is poised to take the lead on setting emissions standards and climate policy. The aftermath of Hurricane Maria may force hundreds of thousands of Puerto Ricans to move to the mainland US, making them refugees from climate change. Given the lack of action on climate change, governments need to prepare to receive more and more climate refugees. Governments at all levels also need to take sea level rise and more powerful storms into account when planning coastal or floodplain development or preparing for disaster relief. Introducing more renewable energy sources may help make Puerto Rico's energy infrastructure more resilient in the future. The Trump administration wants to open the mid-Atlantic coast to seismic surveys by energy companies despite the potential hazards to marine organisms and low demand for oil leases in that region. Wood Tiger Moths have developed chemical defenses to make themselves distasteful to both birds and ants. The Fall Armyworm has become an invasive species in Africa. Darwin's Frogs are likely to be wiped out by a fungal epidemic. New Jersey's next governor will need to make up for lost time on addressing climate change and a host of other environmental issues. The 'I'iwi, one of Hawaii's endemic bird species, will be listed as threatened under the Endangered Species Act. 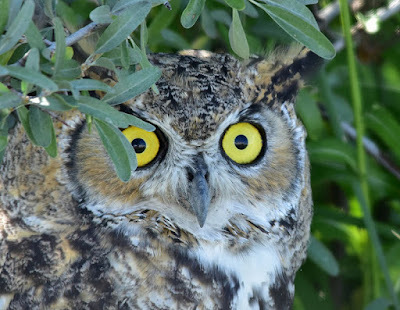 Threats include avian malaria (spread by invasive mosquitos), climate change, and a fungus that kills trees they depend on for food and nesting habitat. The 2017-2018 Winter Finch Forecast is now available. 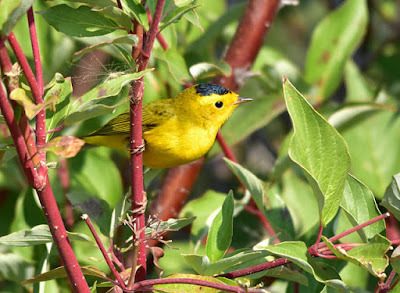 Most irruptive species are unlikely to migrate south of their usual wintering areas this winter due to excellent cone crops in the boreal forest. 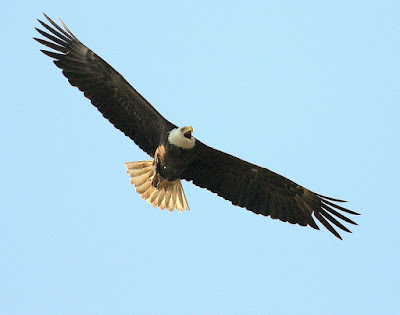 There are more free-flying California Condors than ever before, but their survival in the wild is still tenuous because of lead and mercury poisoning and other threats. Plans are underway for the start of a new free-flying population near the California-Oregon border. All 44 Snail Kite nests around Lake Okeechobee were destroyed by Hurricane Irma. The Snail Kite is an endangered species, and only 130 nests were reported this year in Florida, so the loss is substantial. The 230 captive endangered Puerto Rican Parrots at El Yunque National Forest survived Hurricane Irma in a secure room. No word yet on their status after Hurricane Maria. A captive breeding program is rebuilding the wild population of New Zealand's rarest kiwi species. Patuxent Wildlife Research Center in Maryland ended its Whooping Crane captive breeding program as a result of budget cuts. A reduction in the size of Cascade-Siskiyou National Monument would threaten habitat for Northern Spotted Owls. Social environment affects the phallus length in Lesser Scaup but apparently not among Ruddy Ducks. Barn Owls keep their hearing abilities as they age. Monk Parakeets have become an invasive species in Mexico thanks to changes in the pet trade. Tailings ponds at mining sites continue to pose a threat to birds despite safeguards. A survey of birdlife on New Britain showed one species worse and seven better than expected. The main threat to birds is palm oil production, which destroys their habitat. In colder months, flocks of Cedar Waxwings may appear in places with fruiting trees to devour the berries. Avian Hybrids: Two Crow Hybrid Zones for the Price of One! ABA Blog: #MySantaAna Border Wall Update–Your Voice is Needed! Hurricane Maria will likely worsen existing environmental problems on Puerto Rico. This summer's hurricanes have been notable for their rapid intensification, something that is usually rare among storms. The causes for rapid intensification are not completely understood, but the unusually high ocean temperatures appear to be a contributing factor. Zinke's report on national monuments has been leaked and includes recommendations to shrink at least six (Bears Ears, Grand Staircase-Escalante, Gold Butte, Cascade-Siskiyou, Pacific Remote Islands, and Rose Atoll) while increasing resource exploitation of others. The targeted monuments include several areas with significant bird habitat. Continued uncertainty surrounding the report seems likely to reduce economic benefits that usually follow monument declarations. More background on the fight over national monuments is available here. The new EPA administrator's increased security detail has resulted in fewer agents available to investigate environmental crimes. Contrary to some reports, a recent paper did not conclude that climate models overestimated warming. American oaks share a common northern ancestor according to a genetic study. The IUCN lists six North American ash species as endangered because of the Emerald Ash Borer. Bristlecone pines are not shifting their range quickly enough to keep pace with climate change. Soon the endangered Kakapo will be the first species for which every individual's genome has been sequenced. The data will be especially useful in combination with data from the transmitters each of the parrots wears to record their movements and activities. Audubon is providing updates on birds and birding sites affected by Hurricane Harvey and Hurricane Irma. The ABA Blog has a round-up of unusual bird sightings in Hurricane Irma's path, including some extraordinary seabird records from Tennessee. An experiment using audio playback for 72 pairs of related bird subspecies found evidence for 21 new bird species. Recently a tweet showing a young Red-tailed Hawk guarding a recently-killed pigeon went viral on social media, which prompted this article and interview on the ubiquity of urban raptors. In other urban raptor news, a volunteer-run study has been tracking Seattle's Cooper's Hawks since 2003. This year at least 40 pairs nested in the city. Young birds have a hard time surviving in the city after fledging, but they are hardier if they survive their first year. Volunteers from NYC Audubon monitored the Tribute in Light memorial on 9/11 to make sure birds would not get trapped in the lights. Here is an article from 2015 that explains what they are doing. USFWS reports that 86 million people participated in birding activities in the U.S. in 2016. The USFWS conducts a survey (pdf) of outdoor recreation every five years; recent surveys have shown steady growth in the number of birders and continued decline in the number of hunters. In Defense of Plants: How Do Palms Survive Hurricanes? The Speckled Hatchback: Post #116 - Info sought on grebe nesting failure! Flooding from Hurricane Irma caused the release of millions of gallons of raw sewage in Florida. This is both a public health hazard and a threat to coastal wildlife in the affected areas. Houston's floodwaters in the wake of Hurricane Harvey are also full of toxins. Chocolate production is a driver of deforestation in the Ivory Coast. De-extinction of recently or even long extinct species is at least theoretically possible through biotechnology. This interview explores whether de-extinction would be a good idea. Many conservation programs are at risk in the proposed federal budget, including a USDA-funded program that protects nesting Tricolored Blackbirds. With increasing loss of their preferred marsh habitat along the Gulf Coast, Mottled Ducks might move into urban and suburban habitats where they would be more likely to hybridize with Mallards. Ruddy Shelducks fly at altitudes of up to 22,000 feet as they cross the Himalayas. High-altitude flight has previously been documented among Bar-headed Geese, which also fly over the Himalayas. A section of the Northumberland coastline has been turned into a marine protected area to protect nesting seabirds, which are increasingly threatened by climate change. Photographing birds can be rewarding and support conservation, but photographers need to be careful to put the safety of the birds first. A study found that a cockatoo can bend wires (in this case pipe cleaners) to retrieve food items. 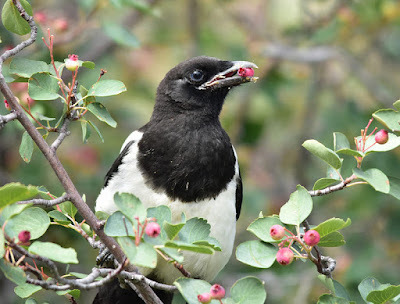 Australian Magpies dunk food in water before eating it. Here are some hawkwatches in and around northeastern New Jersey. This year's active hurricane season is fueled in part by warmer ocean temperatures. Likewise, climate change is fueling this summer's massive wildfires in the Pacific Northwest. The floods from Hurricane Harvey will leave a toxic mess given the number of oil refineries and chemical plants along the Texas coast. Several Superfund sites were flooded, and the EPA was slow to respond. During Hurricane Sandy, protected wetlands prevented $625 million worth of damage in the Northeast. In the years since the Elwha River's dams were removed, scientists monitoring the results have found that the river has become wild again in unpredictable ways. Mattawoman Creek in Maryland, just south of DC, has one of the most productive fisheries in the Chesapeake region. Butterfly watchers have noticed a rebound in Monarch numbers this summer, but the improvement will not be sustainable without increased planting of milkweeds. Here are maps showing how 500-year floods would affect New Jersey. The 4th annual Global Shorebird Counting begins today and runs through September 7. The event is held at the beginning of September each year to mark World Shorebirds Day on September 6. See the link for how to participate. Shorebirds are among the birds most threatened by climate change because many of them nest in the Arctic. A study of Scopoli's Shearwaters found evidence that the seabirds navigate using a sense of smell. While the Whooping Cranes that winter at Aransas NWR were safely in Canada when Hurricane Harvey hit Texas, the refuge likely suffered damage (but may also benefit from an infusion of freshwater). Meanwhile, the International Crane Foundation's office was destroyed, and the endangered Attwater's Prairie-Chickens were in the path of the storm. A soggy Cooper's Hawk that went viral on social media during the hurricane is now under the care of a wildlife rescuer. Bicknell's Thrush may have the smallest population of any songbird in the contiguous US. Eastern Bluebirds and Hispaniolan Crossbills disappeared from the Bahamas during the last glacial transition period. Conservationists are creating a new colony of Laysan Albatrosses on Oahu to keep the species from being threatened by rising sea levels. Interior forest birds like the Ovenbird benefit from connecting isolated parcels of habitat. The Nazca Booby population is expected to shrink with ocean warming. Some but not all seed-eating birds are able to adjust their diets when habitat degradation changes local plant communities. Scientists designed a way to recreate complex birdsongs by blowing air through a rubber tube. 10,000 Birds: Where are the Bobolinks? Outside My Window: How Do You Know It’s A Moth? Hurricane Harvey is a disaster on many levels. Even after the rains stopped, the release of toxic pollutants from the many chemical plants and oil refineries is a lingering problem. One chemical plant exploded on Thursday morning; that plant's owner had lobbied against safety rules to make accidental releases less likely. As has become standard after unusual storms, the link to climate change is under debate. While there is reason to think that climate change makes storms like Harvey more likely, there are other factors that made the situation in Houston worse, such as its lax zoning rules and the paving over of wetlands. While there are a lot of hoaxes associated with hurricanes, the photos of floating masses of fire ants are real and reflect their dispersal method. Here is a visual profile of some of the biodiversity threatened by border wall expansion, with an emphasis on the Sky Islands and big cats. At least six national monuments are now known to be targets in Zinke's report. The Trump administration blocked NPS from expressing their concerns about a bill that would prevent NPS from regulating hunting in national parks in Alaska. Experiments are exploring how well animals that have seasonal color variation will adapt to climate change. American Pikas have disappeared from a large stretch of the Sierra Nevada in the Lake Tahoe area, probably due to climate change. Self-driving cars could increase suburban sprawl and threaten to pave over more natural habitat. Milder winters are allowing Southern Pine Beetles to move north. Energy companies are continuing to shut down coal plants in favor of other sources. Yet another natural gas pipeline in the Pinelands is likely to be approved by the Pinelands Commission.